You may have noticed my appearance on this blog has been a bit sporadic this week. I tell ya! Moving is hard work. My back aches and I'm exhausted, yet the boxes just keep on coming!! I hope the end is in sight although I dare not believe it! 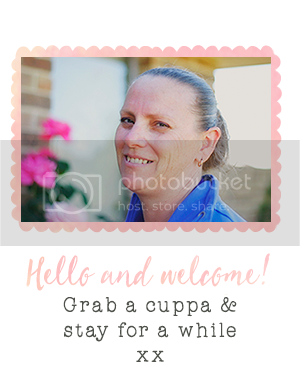 I took a break from all this hard yakka to make a little baby girl card for my niece born just a day or two ago. Baby Lily Yvonne. Isn't it a pretty name? And such a pretty name needs a very pretty card! 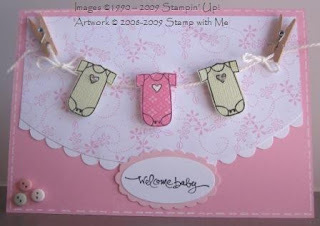 I saw a card made by Laurie from 'Just Give Me Stamps'. And I thought to myself. I can do this. 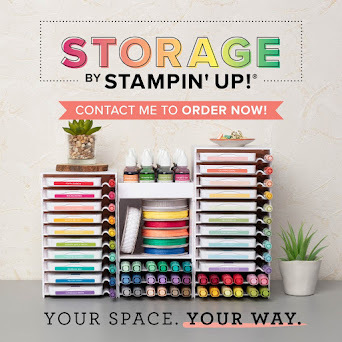 I just need to search through my stash and see what I could use!! 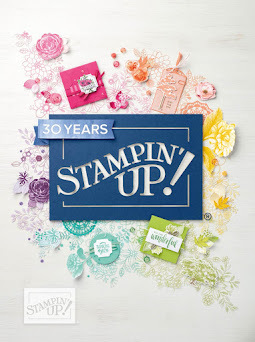 Papers: Stampin' Up! Pink Pirouette, Pixie Pink, Whisper White Cardstock & Patterns Pack 2 Designer Series Papers (DSP), scrap of textured pastel green. I am really happy with this card. I LOVE it!! I have been looking at it all day and smiling to myself. You might have noticed that I used the Scallop Oval Punch. Did that get your interest??? 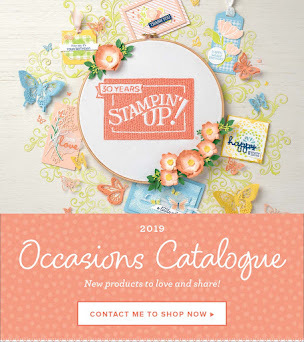 It's new and coming in the Spring Mini Catalogue out on 1 August! !